No more inflexible working hours, no more chair rentals, no more imposed product lines: Many stylists have dreamed about being their own boss, but only a few really dare to take the risk. Carrie Hicks did – and it saved her career. Carrie has been a hairdresser for 16 years. When she was in training, very few salons in the UK practised in an eco-friendly way or used responsible methods. 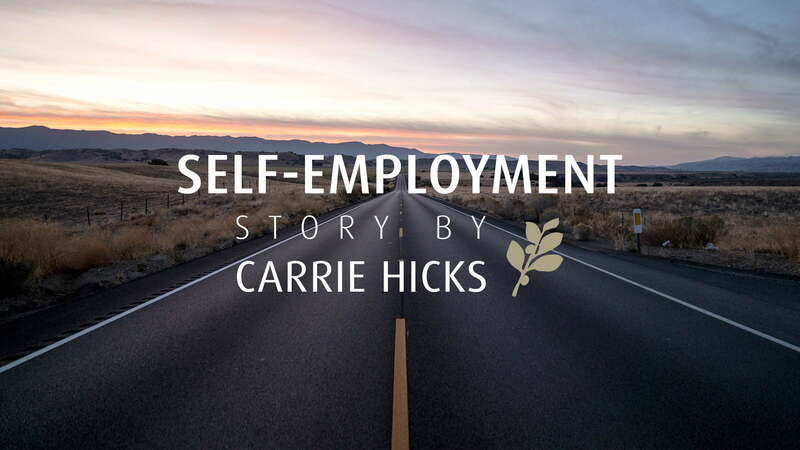 To stay true to her beliefs and her passion for health and well-being, Carrie decided to take on the challenge of self-employment in 2006. Now she shared her experience of being a self-employed stylist with us. GO CARRIE! What are the challenges of being a self-employed hairdresser? What are the benefits? It’s a challenge to be responsible for every aspect of the business. As a self-employed stylist, you’re not only a stylist but also responsible for your own marketing, stock control, admin, accounting and overall management. I would say the main benefit is being in control of how you want to conduct your business and having the freedom to stay true to your own beliefs. As a self-employed hairdresser, it’s far easier to align your personal values with the work that you do. What is your best advice for fellow hairdressers that are flirting with the idea of self- employment? I believe that some stylists are perfectly suited for the salon. Others flourish once they have the freedom to be their own boss. If you feel a calling towards being a self-employed hairdresser, look for help, starting up from organisations such as The Prince’s Trust in the UK or your local chamber of commerce/council. These people can help you with the management. Research, make a plan and trust that you are fully capable. The salon can be like riding your bike with stabilisers on. When you remove the training wheels and power that bike on your own, you will truly fly! If you could change something in your past career, what would it be? To achieve hairdressing qualifications, I studied at my local college. I’m grateful that hairdressing is a widely available education in the UK, but I would like to see a change in the syllabus. Even though the use of professional colour and hair care products is an essential part of the education, organic or low-tox alternatives weren’t taught about at all. For future generations, I would love to see sustainability, eco-friendly practice and health issues taught alongside cutting and colouring in every college. You got started with NATULIQUE two years ago. How did you find us? In recent years, I developed some persistent skin allergies. My lungs were always tight after a morning using hairspray and I started to realise how synthetic ingredients and chemicals affect people. As I looked more deeply into the problem, I felt a sense of shame that my business had the potential to do harm. In 2016 I researched a range of natural hair care brands and came across the NATULIQUE website. What has changed for you since you started using more natural hair products? Before Natulique, I was in conflict. I wanted to use products that performed at a professional level but I felt ashamed for using harsh chemicals and synthetics. Since using Natulique, I work with greater confidence. I know that I can continue to enjoy hairdressing without putting unnecessary risks on client health. What’s your message for the rest of the NATULIQUE family? Many leading hair product brands are well established and have a huge amount of influence over consumers and stylists alike. It’s a sad fact, that most of these brands are driven by goals of high profit with little regard for the consequences of their actions. NATULIQUE is different. They are invested in taking a responsible approach to the success of the company. Due to these authentic human values, I have found NATULIQUE to be more than a product manufacturer. Joining the NATULIQUE family saved my career. I realised that there are like-minded hairdressers in all corners of the globe and the sense of kindred spirits is real! It’s a pleasure to be a part of this family. If you want to read more about Carrie’s working life find the story of her favourite working day here.